tweet tweet guess what the birdie brought in this April? There's another project brewing this month by The Butterfly Project Community. One that smells like sweet pink cupcakes bursting out with candy cane surprises. 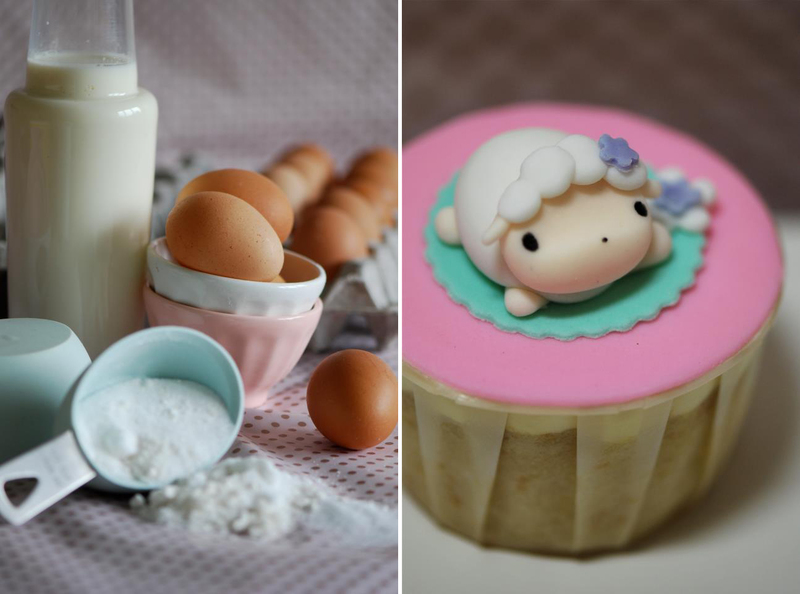 This month's project has to be the cutest of all thanks to Bag of Love and Delectable Su. A short introduction about what these two brands have in common besides being home grown and made from love is that they're both uniquely different from your usual cake shop and beauty boxes. Beauty Boxes has taken Malaysia by the lipsticks. What are Beauty Boxes? In short, they're pretty boxes filled with beauty product samples (deluxe sizes, sample sizes, miniatures). You pay a subscription fee to receive them every month by courier. The samples are given randomly and you'll jump for joy if you find something you like e.g a non-sample size product. Being the only beauty box that's different, Bag of Love comes in the form of a bag and not a box! (gasp!) and you know us girls, bags are never enough. We will collect any kind of bags, pouches, totes, canvas and even paper bags we find cute. I still wonder if every month Mimi (the brainchild of Bag of Love) will surprise us with a totally new bag to love and to honor forever. Subscribing to Bag of Love is like accepting a wedding proposal. You know it's going to be forever, you don't know what to expect and you wish the surprises don't stop at I do. Delectable by Su is not alien to Malaysians. The designer cakes, gingerbread man and the cutest cupcakes smiles at the display, mesmerizing anyone that dares to pass by. I was one of them, staring into the window everyday salivating. I still remember last year I bought 24 cupcakes just to surprise my staffs on Valentine's Day and yes they all went "wah". A blogger turned entrepreneur, Su (designer and founder) is an inspiration to all. Simple flour, milk and eggs could turn into a form of art by Su's crafty hands. Now I wish she would just make me a wedding cake too. Now here's the cake. 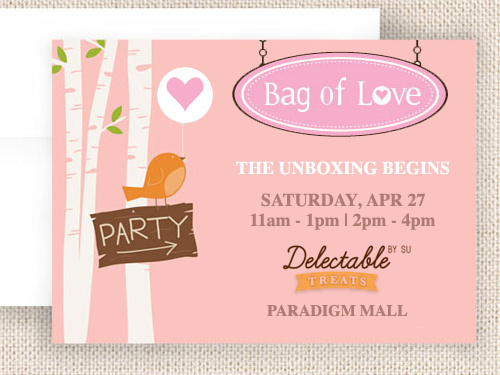 50 bloggers will be receiving a Bag of Love to review but only 30 will be unboxing their Bag of Love at the tea party held at Delectable Su, Paradigm Mall on 27th April, 2013. There will be two (2) sessions - 11pm and 2pm. Each session can only accommodate 15 bloggers. All you have to do is tell us why you want to review Bag of Love and/or why you want to come to the tea party! 30 best blog posts will receive an invitation. How? you know the drill, get your blog post ready first and then submit your link in the app below! (click here for mobile friendly link http://bit.ly/ZJMnD7). 3. Fifty (50) bloggers from Malaysia will be selected to review Bag of Love's April Edition. 4. 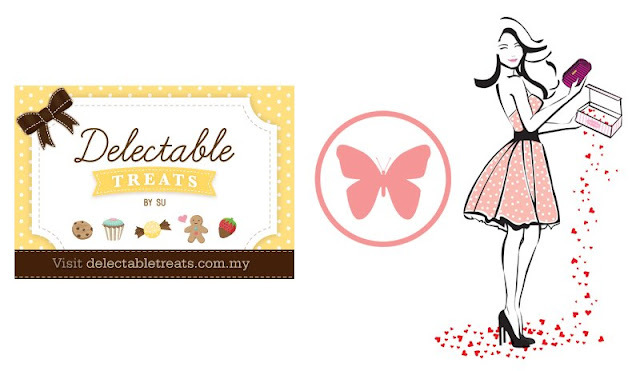 Out of the fifty bloggers, thirty (30) will receive exclusive invitations to the Unboxing Tea Party held at Delectable Su, Paradigm Mall on 27th April, 2013 at 11am (session 1) or 2pm (session 2). 5. Bloggers will need to submit a blog post on why they would like to review and/or come to the Bag of Love, Unboxing Tea Party at Delectable Su. Feel free to be creative but do link back to The Butterfly Project's Fanpage. 6. Incomplete entries will be deemed void. E.g missing blog post link. 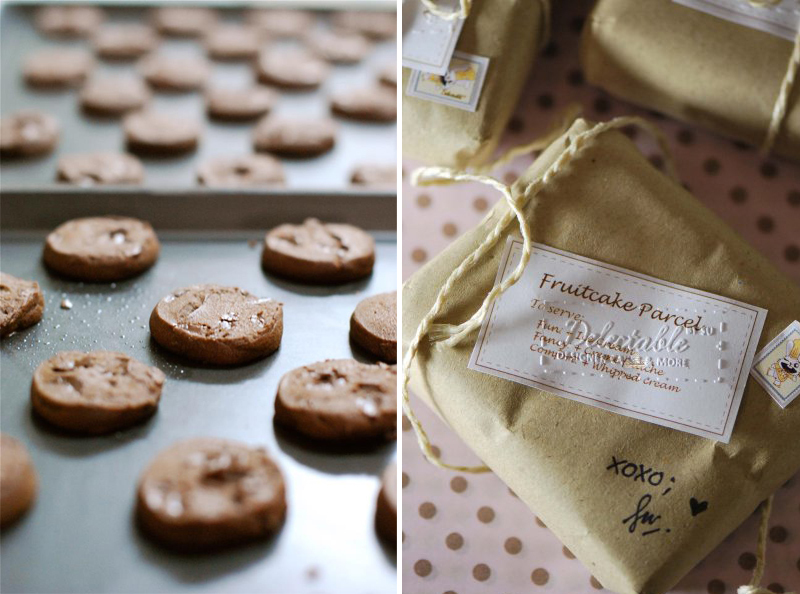 This is an exclusive collaboration with Bag of Love and Delectable Su. hello, may I know if its to either blog on why I wanna do a review or go to the unboxing party or do both the posts? Sorry for the delay in replying to your inquiry! I went to Krabi from 13 - 16 April! Got back at night and been working since. Hope it's not too late for me to answer you. For the blog post, because we are selecting 50 bloggers to review the bag of love (apr edition) and only 30 will be invited for the tea party, we don't know which bloggers might be interested to just review the bag or would prefer to review it at the Tea Party. Those who can't go to tea party because they're outstation or not free can just blog about why they want to review bag of love :) while those who can go to tea party can just express their joy to do both. Or do i just can participate on this project? :) yes just participate and do include in your blog posting that you're from where and that you cannot attend the tea party but would love to review the bag of love!